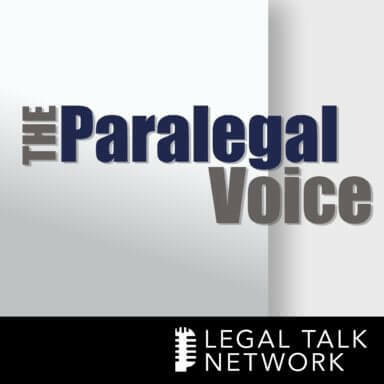 On this episode of The Paralegal Voice, Vicki Voisin has the opportunity to interview L. Lin Wood about the benefits and difficulties in representing high-profile individuals and how a paralegal can be most effective in these cases. Wood began his career in defamation cases when he represented Richard Jewell in the Centennial Olympic Park bombing case and has since represented the Ramseys, Gary Condit, attorney Howard Stern, and many others in whom the media took a particular interest. He describes how fighting against the media can be different than a regular plaintiff and how he protects his clients from public accusations. He explains that there are additional issues when dealing with a public figure including when to sue for slander and how to control what his clients say to the media. In terms of paralegals working in libel cases, there are three qualities Wood expects: acute knowledge about the case, understanding of the situation, and ability to keep track of a wealth of information coming from the media. L. Lin Wood is an Atlanta attorney who has developed a national reputation during his more than 36 years as a trial lawyer focusing on civil litigation, representing individuals and corporations as plaintiffs or defendants in tort and business cases involving claims of significant damage. Special thanks to our sponsors. NALA is a professional association for paralegals providing continuing education and professional certification programs for paralegals at nala.org. Also, visit ServeNow.com for a nationwide network of trusted, prescreened process servers. Welcome to The Paralegal Voice, where you hear the latest issues and trends in the world of paralegals and legal assistants by one of the best known paralegals in the industry, Vicki Voisin. A paralegal for more than 20 years, Vicki is dedicated to helping legal professionals reach their goals. You’re listening to Legal Talk Network. Vicki Voisin: Hello, everyone. Welcome to The Paralegal Voice here on Legal Talk Network. I’m Vicki Voisin, the paralegal mentor, and host of The Paralegal Voice. I’m a NALA advanced certified paralegal and I publish a weekly e-newsletter titled Paralegal Strategies. I’m also the co-author of The Professional Paralegal: A Guide To Finding A Job And Career Success. You’ll find more information at paralegalmentor.com. My guest today is L. Lin Wood, an Atlanta attorney who has developed a national reputation during his more than 36 years as a trial lawyer. He focuses on civil litigation representing individuals and corporations as plaintiffs or defendants in tort and business cases involving claims of significant damage. Mr. Wood also has extensive experience in First Amendment litigation and also management of the media in high profile cases. Welcome, Mr. Wood. Lin Wood: Thank you very much for having me, Vicki. If you’ll just do me one favor and refer to me as Lin. Vicki Voisin: I’d be happy to do that. Before we begin, our sponsors should be recognized and thanked. That would be NALA, a professional association for paralegals providing continuing education and professional certification programs for paralegals at nala.org. That’s nala.org. NALA is a force in the promotion and advancement of the paralegal profession and has been a sponsor of the The Paralegal Voice since our very first show. Also ServeNow, a nationwide network of trusted, pre-screened process servers. When you work with ServeNow, you work with the most professional process servers who have experience with high volume serves, embrace technology, and understand the litigation process. Visit servenow.com to learn more. At that time I was already familiar with his name as you know, and also his reputation of representing high profile clients. Mr. Wood is based in Atlanta with Wood, Hernacki & Adams, LLC. He has always been a high profile attorney but he really became noticed in the media when he represented Richard Jewell, a security guard falsely accused in the Centennial Olympic Park bombing in Atlanta back in 1996. His reputation of Richard Jewell propelled him from a personal injury lawyer to being known as one of the top libel, defamation, and First Amendment lawyers in the US. Mr. Wood, really happy to have you here and I’d like you to briefly tell our listeners about First Amendment rights. Then I’m wondering, was your passion for First Amendment rights that began with Richard Jewell or has it always existed for you? Lin Wood: Thanks for having me, Vicki, and again, please feel free to call me Lin. If I could take your questions maybe in reverse order. Richard Jewell, when I undertook to represent him in a few short days after the Centennial Olympic Park bombing in July of 1996, Richard Jewell changed my professional career. Obviously since that time I have probably spent about 50% of my practice in the area of First Amendment law and defamation cases. Richard was not only a great client; he was a great friend. He passed away too early; I miss him everyday. My passion, though, for the practice of law has not really been to take on First Amendment cases or medical malpractice cases, or business litigation cases; it’s really a passion that deals with representing, in the main, individuals who are viewed as the underdog. Represented and had the privilege of representing some very wealthy people. I’ve represented some large corporation but my passion is always driven by the Richard Jewells of the world. The people who find themselves pitted against powerful and wealthy opponents, who really need someone to fight for them because they are, in effect, fighting for their lives. First Amendment law is really a fight about reputation. At the end of the day when we live this earth, and we don’t necessarily all know for sure what’s going to happen to us, except we know that we live behind our reputation. We spend a lifetime building it and unfortunately in the media environment that we live in today, a lifetime of work to build a reputation can be destroyed worldwide in literally a matter of seconds. That’s what happened to Richard Jewell in 1996 when the international media descended on him in Atlanta when he was obviously being pursued by the FBI. I’ve had obviously clients since Richard that have found themselves in very similar situations. We can talk about First Amendment as a matter of freedom of speech, freedom of the press. I like to talk about First Amendment law as being an area where one protects his or her reputation. Vicki Voisin: Okay, I was looking at this program and honestly we could go on and on. We probably could do the whole program about your career, your achievements and so forth. I think what it boils down to these First Amendment rights and going to help the underdog, it’s probably one of the things that you should be most proud of. I really admire you for that. You’ve represented many high profile clients, and I find this both amusing and interesting because newsman Dan Rather referred to you as “the attorney for the damned.” Tell us about a few of your cases and how you earned that reputation. Let’s begin with Richard Jewell and then we’ll move on to some of the others. Lin Wood: Dan Rather was a friend and did in fact autograph a book to me where he referred to me as the attorney for the damned. Candidly, a lot of my clients clearly fit that description, Richard Jewell being the first. Obviously falsely accused of bombing Centennial Olympic Park, a act of terrorism that would have brought to him, if guilty, the death penalty. Richard was just simply a private security guard, who on the night of the bombing did his job, and in doing his job saved the lives of over 100 innocent people. Not too very long after I undertook the representation of Richard, I was contacted by Patsy Ramsey and asked to consider representing John and Patsy in connection with certain defamatory publications about their Burke, who was 9 years of age when he lost his life’s best friend JonBenet Ramsey when she was 6. I did agree to represent Burke and to meet John and Patsy and to spend time with them quickly led me to believe in them so I undertook for over 10 years a variety of matters for them both involving defamation and involving the investigation into JonBenet’s murder in Boulder, Colorado. Take a lot of credit, and don’t mind saying it, in having that investigation moved away from Boulder Police into the hands of the district attorneys office. That ultimately led to the district attorney public exonerating John and Patsy and Burke from any involvement in JonBenet’s murder. Also along that same time period had the pleasure of meeting and representing Gary Condit, the former congressman from California who was falsely accused, and I think fairly driven from office, by allegations that he was involved in the disappearance and unfortunately what turned out to be the murder of Chandra Levy. Have also represented Howard Stern, who was the lawyer and companion to Anna Nicole Smith. Just in the last couple of years ended up representing two presidential candidates. One obviously was Herman Cain, probably the most public of the representations. I also did some work for Governor Rick Perry. The funny thing about all my clients, Vicki, is that the one thing I’ve learned, is that they are so different in real life than the perception and persona and the characterization of them in the media. I’ve always looked forward or cherished the idea that eventually I’d have to get in front of a jury representing one of them and the jury would get to know them, too. To know them would be to respect them and to recognize that they did not in fact fit the characterizations of people that could be involved in some of the very heinous activities they were accused of being involved in. Vicki Voisin: Tell me about being called the attorney for the damned. I also think that Gary Condit referred to you as a junkyard dog. Lin Wood: The fight for justice, particularly when you’re representing the underdog, and particularly in cases where you are suing members of the media, media defendants have unlimited financial resources to litigate. They also sell themselves on the idea that if they lose a case that somehow the skies will fall and the First Amendment as we know it will cease to exist – and that’s all just bunk. They’re tough opponents. I litigated the Richard Jewell case against the Atlanta Journal & Constitution for 17 years – 4 years after Richard had died. While I like the idea that I’m a junkyard dog or a pit bull, the fact of the matter is I’m just an aggressive lawyer who advocates for his client, and who is persistent in pursuit of the truth. Sometimes that may come across as being too aggressive, but to me within the rules of our profession, you have to be thorough and you have to be sifting on cross-examination because the truth is not always easily discovered. Vicki Voisin: You’re absolutely right and I know as a citizen who listens to the news and so forth, it’s almost like you don’t know what to believe when the media goes after these people. Are they guilty, are they not guilty? Did they do it or didn’t they? It’s difficult for the average person to decipher through all of this so I can’t imagine what it’s like to live through that, to have them basically camped outside your door waiting for you to open it and storm the residence. I don’t know how you deal with that. Lin Wood: I saw close up and personal the impact of the media accusations and scrutiny on a number of my clients. Even I have trouble fully comprehending the mental anguish and stress and pressures that it imposes on them. I don’t think you can adequately describe it until you’ve actually lived through it. I had an occasion to have Richard Jewell and Patsy Ramsey have dinner at my home one night and we set outside on my back porch and they started talking with each other about their experiences. Literally within a few minutes they were both in tears. They connected and they both understood because they had both lived through it. Vicki Voisin: Right, and I think it probably had an effect on their health. Maybe we don’t want to go into that except that I know Richard Jewell died far earlier than he should have. Patsy was sick before and then got sick again. I just think that pressure, when you’re going through a sad time anyway, and then you have this terrible pressure from the media, it’s got to affect other things besides just making you sad. Lin Wood: It’s a lot more than making you sad. While I might not be able to sit down and scientifically connect the medical dots, there is no doubt in my mind that Richard Jewell’s death at age 43 from a heart attack was in fact related to what he endured over the course of his life after he was accused of the Centennial Olympic Park bombing. I believe just as firmly that Patsy, after 9 years of being cancer free, that the stresses that she lived under could likely have contributed to the recurrence of her cancer that led to her very also untimely death at age 45. They’re just not emotional problems that are suffered. I think they’re very real physical problems that individuals who are falsely accused suffer. Vicki Voisin: We’re going to stop for just a second and take a short break. That will be for a word from our sponsor NALA, the Association of Legal Assistants and Paralegals, and ServeNow, a nationwide network of trusted, pre-screened process servers. When we’ll come back we’ll continue our discussion about representing the high profile client with attorney Lin Wood. NALA means professional. NALA offers classroom and web-based continuing education and professional development for all paralegals. NALA’s certified paralegal credential has been a gold standard of professionalism for over 30 years. More than 15,000 paralegals have the certification and nearly 2,000 have achieved the demanding advanced certified paralegal. NALA works actively with others in the legal field to promote the value of paralegals and to advance paralegal professionalism. See more about why NALA means professional at www.nala.org. Looking for a process server you can trust? Servenow.com is a nationwide network of local, pre-screened process servers. ServeNow works with the most professional process servers in the industry, connecting your firm with process servers who embrace technology, have experience with high volume servers, and understand the litigation process and rules of properly effectuating service. Find a pre-screened process server today. Visit www.servenow.com. Vicki Voisin: Welcome back to The Paralegal Voice. I’m Vicki Voisin and my guest today is Atlanta attorney L. Lin Wood. We’re talking with Lin about First Amendment litigation and also management of the media in high profile cases. Thank you for being here today, Mr. Wood. Lin Wood: Again, my pleasure. Vicki Voisin: And again, I’m going to call you Lin from now on. I’ll try that. Lin Wood: It’s okay, and if you call me Mr. Wood I’ll still answer. Vicki Voisin: I appreciate that. Thank you. We’ve already talked about the effect of media coverage on clients even if they’re not guilty. When you’re representing people like this, how do you protect them from the media? How do you control this media coverage? You can go on television and talk about it but basically they need a shield – so what do you do? Lin Wood: There are really two categories of individuals who find themselves under attack. I’ve represented certain individuals. I’ve done some work for Dr. Phil where he became aware that certain members of the media were looking into a story, an investigative story. It was clear from the questions they were submitting to him that they were looking for a salacious story that would have been false. As an example, that’s a situation where you try to get out front and you try to get to the member of the media accurate information, where in effect you’re advocating to them that you don’t want to make this mistake and you don’t want to publish this information about my client because if you do it’s going to be false, it’s likely going to be actionable, and you’re going to end up in a court of law. Hopefully you can prevent the damage, the unfair and false accusations from being made before they’re actually made. Then obviously the more frequent situation is where you’re dealing with someone who all of a sudden finds himself or herself on trial in the court of public opinion. The headline goes out, the article is printed, the news broadcast is aired, and suddenly this individual finds himself or herself being accused of crimes or other defamatory acts and they’ve got figure out what in the world to do. I’ll tell you, it’s a tough situation because at the end of the day libel law, when you’re representing plaintiffs in defamation cases, is very difficult. It’s a tough area to succeed in in the legal world. There are a lot of obstacles presented by the law under the First Amendment defenses. As I said earlier, you got very wealthy defendants usually with an unlimited pocket book and the principle of save the First Amendment is their mantra no matter what they’ve done wrong. There is an opportunity for accountability and once you find yourself falsely accused in the court of public opinion, then you got to go out and try to litigate in that court. You’ve got to try to use the media to get your client’s message across, or to even sometimes have your client give that message to the public to try to correct the record. Because at the end of the day we’re talking about accountability for false speech. While I love the First Amendment as much as the next person, I see no value in false speech. I don’t think it adds to public discussion. I think it unfairly impunes individuals. We can fight about the truth but let’s talk about truth and not about falsehoods. Vicki Voisin: I agree. That’s one thing I want to ask you because many things that other people say make us angry. That may just be criticism or whatever; it doesn’t mean we can sue them for libel and slander. Please explain the circumstances where libel and slander become an issue. Is it when your reputation is tarnished or are there other things to consider? Lin Wood:It’s really more than just the issue of reputation being tarnished. That’s really the defamation aspect of the law. The statement has to be one that holds you up to the public ridicule, scorn, or contempt. That impunes you in your business or trade. That in effect, taken on its face, would be expected to cause you reputational harm. The statement that you would find actionable has to be a statement that is capable of being objectively proven true or false. You hear that pure opinion is protected and that essentially is the general rule. I can express my opinion and as long as I give the facts upon which I base it and those facts are themselves are not false or defamatory, I can express that opinion even if it harms your reputation. If I’m conveying factual information either directly or through the gist of what I am saying, that does in fact impune your reputation, then you’ve got the first two major hurdles overcome to bring a libel case. That is, you’ve got a false statement that is defamatory. Then it becomes an issue or are you a private figure plaintiff, or are you a public figure plaintiff. Private figures generally can recover from false and defamatory statements that are negligently uttered or published. Kind of a subjective standard of the reasonable person. Public figures can only recover from false and defamatory statements if they can prove by clear and convincing evidence that those statements were made with what we call constitutional actual malice. That is knowledge of falsity or publication with a reckless disregard for truth or falsity. The reasonable man negligent standard I should say is an objective standard. The actual malice standard is the subject. You really got to get evidence that’s puts you inside the reporters head, be able to conclude that this particular reporter should have known that this statement was false when uttered. It’s a tough standard. Vicki Voisin: It is and I can imagine that it’s a tough one to work with with your clients. I know that many clients can be difficult. In all of the time that I’ve spent working in law offices I’ve come across my fair share. sometimes they can do themselves more harm than good so they have to be controlled, too. Can you give us some tips on dealing with that? Lin Wood: First rule of thumb is that at some point in time if you are advocating as a lawyer in the court of public opinion for your client, you want to be setting the table for the public to be more receptive to the day when your client speaks out. When you decide it’s time, if the time has arrived, you want your client to go out and you want him or her to answer every question. There’s no half-interviews. You can’t go out and say what you want to say and refuse to answer what maybe you don’t want to talk about. You got to put it all on the table. You got to have credibility. Lin Wood: Never get involved with PR firms. Make sure that no one can ever accuse me or my clients of trying to “spin” the truth, because if you’re trying to spin it, you won’t win it. It’s all about credibility. While you prepare your clients, at the end they’ve got to be able to stand up to that test of fire and subject themselves to the tough questions and to have the truthful answers. When they’re able to do that, it is an effective and powerful tool for an individual to advocate for himself or herself as to the truth. I saw Richard Jewell do it with Mike Wallace on 60 Minutes. Unfortunately, as I told Gary, I don’t think Gary Condit did it well when he did the Connie Chung interview. I have seen obviously other clients that have done an excellent job. The Ramseys were always very credible, answered every question when they gave interviews. You make a judgment call of when to send them out and you hope that you prepare them and that they get the job done. As I’ve said, most of the time I’ve had clients that I think handle themselves very well. Lin Wood: Yeah, they got to display the honest truth. That is that they are confident in what they’re saying because they are telling the truth. You won’t don’t want to go into a lawsuit accusing someone of making false statements when you know that they’re not false. That will be uncovered pretty quickly. Vicki Voisin: Right, and I know from watching John and Patsy Ramsey’s interviews. Also Herman Cain. I watched all of them. I watched the Gary Condit. I especially think John and Patsy Ramsey handled themselves very well – very, very well. I always appreciated the circumstances that they were in. Another thing is if you have all of this media coverage, people are charged and they go to trial, then how can they ever get a fair trial with so much media coverage? Lin Wood: Rule of thumb, kind of defamation 101, if you’re representing someone like a Richard Jewell or John and Patsy Ramsey, one of your goals you’ve got to do what needs to be done to make sure that these innocent people are never arrested, never charged. Richard Jewell: never arrested, never charged. John and Patsy Ramsey: never arrested, never charged. Because once that arrest occurs, you just simply will never be able to sustain a viable, successful libel case. If there’s enough information out there to make the arrest, even if proven innocent, there is no relief from a libel litigation standpoint. Vicki Voisin: Okay, I did not know that. Lin Wood: That’s a practical rule of thumb. I get a lot of phone calls from some fairly high profile individuals who have been acquitted after a jury trial. They then are accused of being a murderer on Nancy Grace and they say can we sue. My practical advice is no. You’ve won your battle where the government couldn’t prove that you were guilty. If you take on a libel case you now have to prove that you were innocent. It’s very tough to get involved in libel litigation once you’re charged with any particular crime. It’s not impossible but it would be very difficult to successfully pursue a case. Vicki Voisin: Right, and yet never arrested, never charged, and yet these people years later, nobody forgets what went on. Nobody forgets. Lin Wood: Yes, what happened to John and Patsy Ramsey will affect generations to come of their family members. It will never be forgotten; it will never be erased. The damage can never be completely undone. Same true with Richard Jewell. Vicki Voisin: When paralegals are working with the attorney and with these clients, and frequently we’ll interview clients and we have a lot of contact with them. Are there any tips that you would have for paralegals in how they can protect the high profile client? Lin Wood: The role of paralegals is critically important to the ability of lawyers to function efficiently and effectively. It can’t be understated. Paralegal has go to, when working on a case in my office, has got to be as knowledgeable about the background and facts of that case as I am, because at any given moment I may ask that individual to conduct an interview, to prepare responses to written discovery, to help prepare me for depositions. One, they’ve got to be knowledgeable about the case. Two, you hope and expect that they will be understanding of the client’s situation. And be able to give great assistance in bringing together what is often a wealth of information in the media. Just trying to keep track with some of the articles on the internet or in newspapers can be an overwhelming task and one that I would be comfortable in assigning to competent paralegal help. They play a major role in libel cases, candidly, as they do in any piece of significant civil litigation. Lin Wood: Let me go back. Richard was never arrested. Vicki Voisin: Oh, I understand and I’m sorry if I said that. Is it more difficult now to restore or fight for your reputation then back in 1996? The answer to that would be yes. ’96 was kind of the beginnings of the internet era. Some of the articles that we sued on for Richard, particularly on CNN, were internet articles. But the internet was not the dominant player in our everyday life that is now. Now you’ve got not only mainline newspapers that are on the internet but you’ve got just a world of individuals who blog, who post on forums where there’s anonymity allowed. It’s hard to track those individuals down and even when you successfully can identify them it’s very difficult to successfully sue them. Most of them don’t have any assets to compensate you with. Today’s world is much tougher in terms of an environment where you want to try to protect your reputation, because there’s so many ways for it to be vulnerable on the internet where the law has not really yet caught up with how we deal with internet defamation. Vicki Voisin: Right. Here’s how I’m different from Time Magazine: I’m really quick to eat my words. For sure. Lin Wood: They probably don’t think they ever did until I sued them. Vicki Voisin: That’s right. If any of our listeners would like to get in touch with your firm, how would they do that? Lin Wood: You can find us on the internet, our website at www.whetriallaw.com. Then you can Google “Lin Wood attorney Atlanta” and unfortunately I pop up in too many places. Vicki Voisin: You’re even in Wikipedia, and if Wikipedia says it’s true it must be true. Lin Wood: You know, I better go look and see if that’s right. Vicki Voisin: You’re right. Thank you for all the information that you’ve given us today. I know that listeners are going to appreciate it and I’m thrilled that you took the time to be with us. Again, thank you very much. Lin Wood: Thank you very much for having me, Vicki. Vicki Voisin: Also I want to thank you for promoting the legal staff the way you do. It’s nice to have us be appreciated so much, so thank you. Lin Wood: Legal staff are like American Express cards: don’t leave home without them. Vicki Voisin: Thanks, I like that. I like that. Lin Wood: Thank you. Okay, Vicki. Vicki Voisin: You too. Bye now. Let’s take another short break now. Don’t go away because when I come back I’m going to have some career tips for you. We’re glad you’re listening to Legal Talk Network. Check us out on Facebook, Twitter, and LinkedIn, too. Vicki Voisin: Welcome back to The Paralegal Voice. This is the time in the show when I can do a little recap, give you some career tips, and let you know a little bit about my schedule. Have to say that for the summer I don’t do a lot of speaking and traveling. I take that time to be with family and to do some writing. I do have a couple of ebooks just about ready and I’ll be announcing that soon. For a career tip I want to get to a topic that I wrote about in the latest issue of Paralegal Strategies. That was will you take the high road or the low road. I talked about, in my article, in the sense of leadership success. How leaders should always take the high road instead of the low road when they’re doing anything. In your job you should also take the high road. There are some ways that you can do that. It means that you’re doing what’s necessarily for yourself and also for the entire firm. You need to stay above conflict. You don’t stoop to other people’s levels I guess I have to say. Understand the goals and the values that you have and also that your firm has. Don’t waste your time and energy worrying about what other people are doing, what other people are paid, what jobs are given to other people. Do your job. Concentrate on your responsibilities. You spend time worrying about all of that, it’s just going to have a negative effect on your work. The other thing you need to do is to learn to handle criticism. We’re all going to be criticized. I don’t want to get any more than you do but when you’re on the high road you listen carefully to the criticism. Is it deserved or not? If it’s not then you need to discuss that with the person and explain to them why it’s not deserved. If it is, then own up to it, make things better, and then move on. Don’t dwell on it. I think that the other thing is to don’t be drawn into insignificant and pointless arguments. If someone pushes your button, I think your first inclination is to push back, to retaliate, but when you take the high road you don’t escalate the situation with a negative response. You can’t please 100% of the people 100% of the time so your goal should be to do what is best for you and for you firm. That’s all the time we have today for The Paralegal Voice. If you have questions about today’s show, please email them to Vicki, that’s [email protected] Also, don’t forget to check my blog paralegalmentorblog.com and the resources available at my website, paralegalmentor.com. All of this is designed to help you move your career in the right direction and of course that’s forward. This is Vicki Voisin thanking you for listening to The Paralegal Voice and reminding you to go out there and make your paralegal voice heard. The views expressed by the participants of this program are their own and do not represent the views of, nor are they endorsed by, Legal Talk Network, its officers, directors, employees, agents, representatives, shareholders, and subsidiaries. None of the content should be considered legal advice. As always, consult a lawyer. Thanks for listening to The Paralegal Voice. Produced by the broadcast professionals at Legal Talk Network. Join Vicki Voisin for our next podcast on issues and trends affecting paralegals and legal assistants. Subscribe to the RSS feed on legaltalknetwork.com or in iTunes.